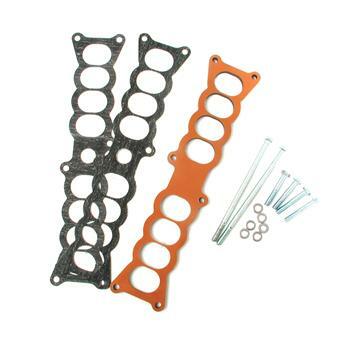 As one of the most affordable bolt-ons for today’s automotive enthusiasts, Phenolic Manifold Spacer Kits have proven to be a great way to increase performance. CNC machined from a custom phenolic fiber material, these spacer kits increase power by dramatically reducing the transfer of heat from lower to upper intake manifold. This in-turn produces lower inlet air temperatures which results in added horsepower and the ability to add more timing advance with less detonation.